When tractor-trailer trucks collide with automobiles or motorcycles, the tractor-trailer wins and the other driver loses. The potential for a catastrophic injury or death is much greater when a tractor-trailer truck is involved. Unfortunately, trucking companies often pressure their drivers to meet unreasonable deadlines and delivery schedules, resulting in dangerous trucks on the road due to: Speeding, Aggressive Driving, Excessive Hours Driving, Fatigue, Careless Inspections, Poorly Maintained Equipment, and Driving Under the Influence of Alcohol or Drugs. Thornton Law Firm is experienced in handling trucking cases. We will gather and preserve the critical evidence immediately, and thoroughly investigate whether the at-fault driver and trucking company have complied with all Federal and State regulations. We will review the possibility of punitive damages against the trucking company, and we will prove your damages for medical bills, lost wages, permanent injury, and loss of the enjoyment of life. We will aggressively pursue your trucking case and fight for your legal rights and right to full compensation for your injuries. 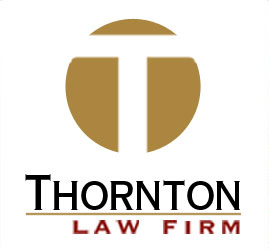 Steve Thornton of Thornton Law Firm has obtained significant recoveries in many Tractor-Trailer Wreck cases. To review several of these cases, visit our Verdicts page on this web site. Contact us for a free consultation of a Tractor-Trailer case – we are here for you.